Special shout to @nightowlcards (http://nightowlcards.blogspot.com/) for indirectly inspiring this post. Based 99% on aesthetics and 1% on arbitrary & subjective judgement, I present my descending order of ‘nicest’ baseball card sets of the 1980’s. #32 – 1981 Donruss. 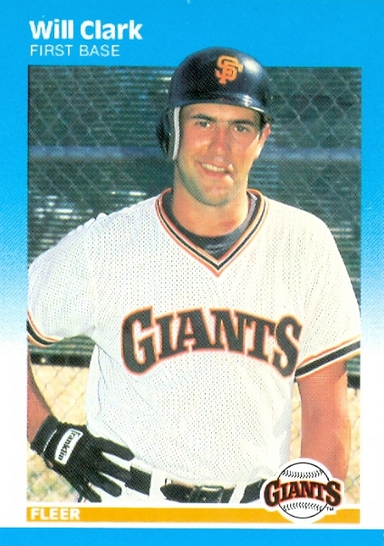 an absolute bush league attempt at a baseball card. Everything from the proto-dot matrix font to the generic stock border looks amateur. Extra points for stamping the year on the front of the card; as a kid I didn’t notice that and in retrospect it’s very cool. #31 – 1983 Donruss. aahhh, Donruss. Every time I see this set I think ‘printed at home.’ Again, just a continuation of the ’82s which were a continuation of the ’81s, and here we are. Didn’t really do much, and if the ’84s continued down this path, I’m positive Donruss would not have made it to ’85. #30 – 1982 Donruss. Donruss basically created a bolder version of the ’81s. Added a little flair with the bat, and came with some nice fonts. Still overall very generic. 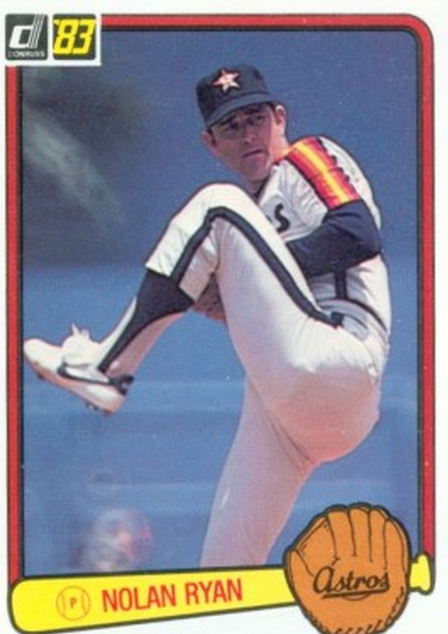 #29 – 1981 Fleer. another freshman effort with very little frills. Generic font on the name, position and most appallingly, the team name. Very minimal, perhaps to prevent further embarrassment. 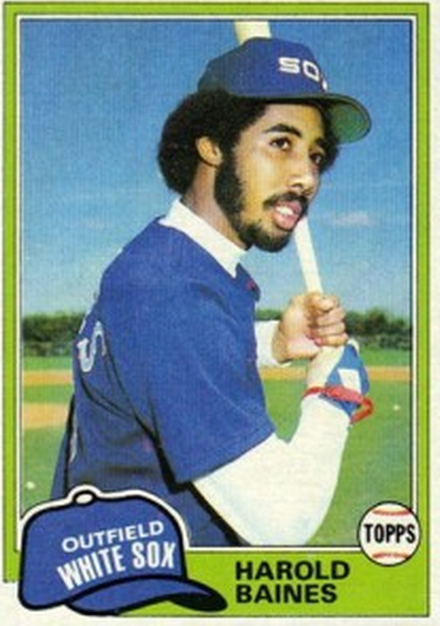 #28 – 1981 Topps. 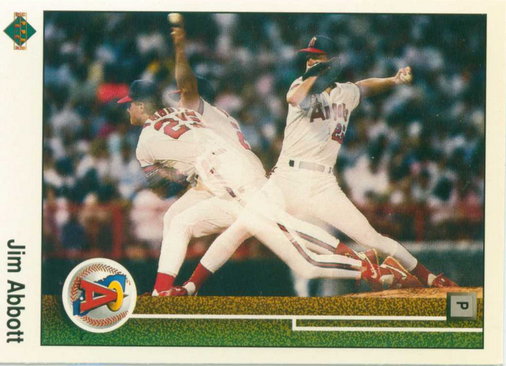 the cap in the corner really makes the cards look generic, and is essentially the same design as Fleer. 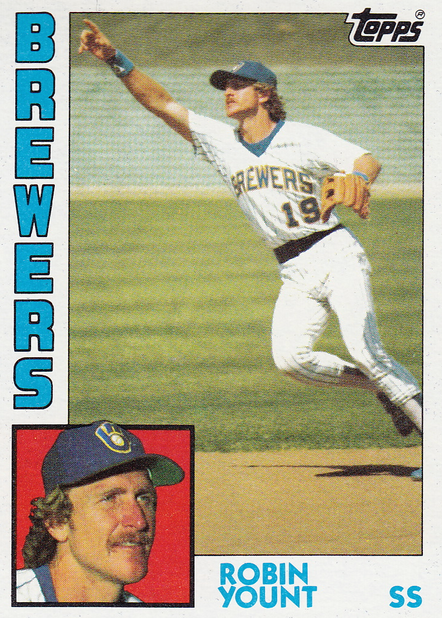 The card stock was thicker and the design was a tad bit more assertive but realistically 1981 was the worst overall year for cards, at least aesthetically, in the decade. #27 – 1988 Score. this is just hilarious. 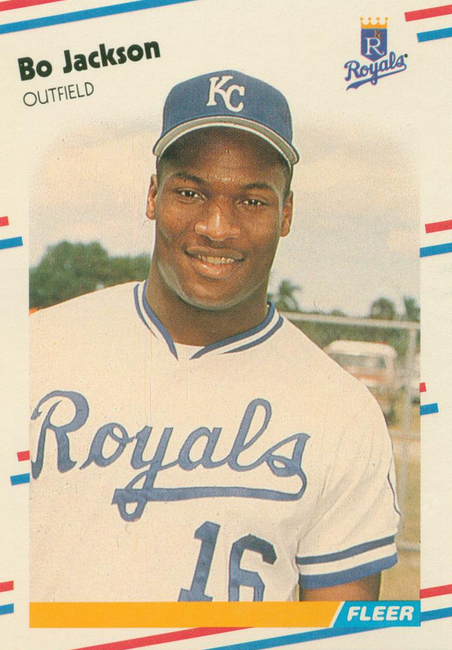 Score, through no fault of their own, debuted their collection during what was quite possibly the worst single season for rookie cards in modern history. 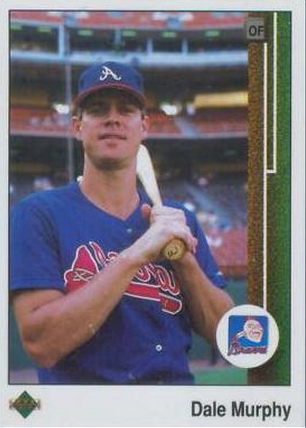 Sure, there’s Glavine, and the Traded set was nice, but the multi-colored card backgrounds were just too bright, too distracting. Combine that with a mediocre run of players, and Score kind of established themselves as a good break when you’re done opening real packs. 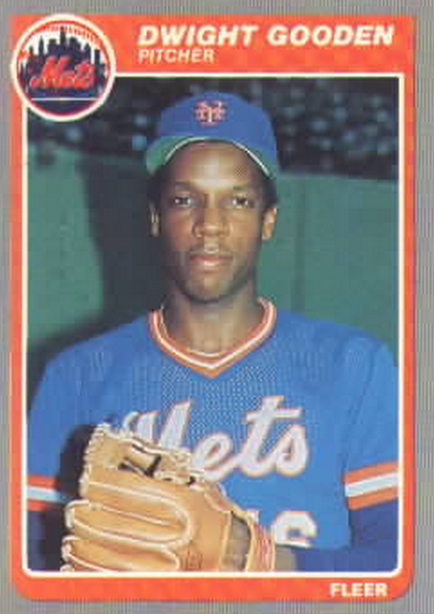 #26 – 1982 Fleer. again, a pretty poor effort from Fleer. They really approached this business ‘no-frills’ and it shows. I remember more than a handful of the cards being blurry. 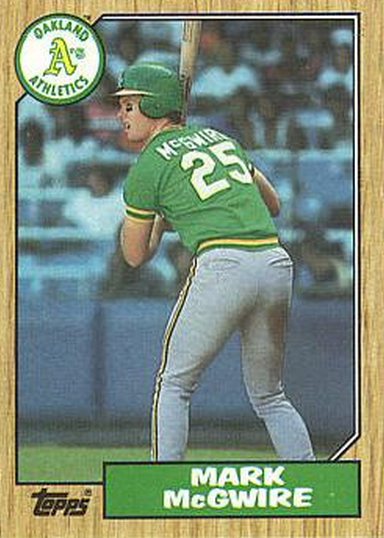 #25 – 1988 Donruss. 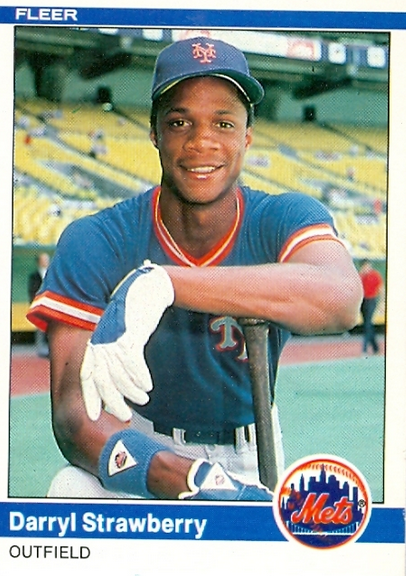 This Jeffries card was the most sought-after common card I can remember. And the set is kind of ugly, to boot. It’s trying to do too much with the random pattern on the border, and the font gets lost in the shuffle, as does the logo (how is that possible). Also, some really lousy Diamond Kings in this issue (take that, Johnny Ray!). #24 – 1989 Score. the cards aren’t hideous, but they still feel like second class citizens. Kudos to Score for the unique layout, but it just seems too ‘new-fangled’ for the industry. Harumph. 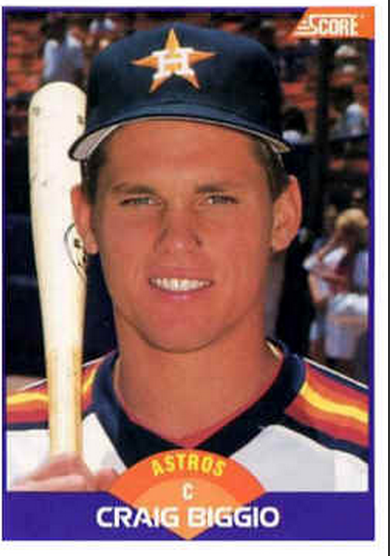 #23 – 1989 Donruss. Donruss goes fully off the rails again. I love the color purple, but not on my cards. This was tough to differentiate from the Classic board game sets that came out a few years early, but at least these could legally utilize team logos. Really, just an ‘updated’ version of what they were doing when their cards were generic computer printouts in the early decade. #22 – 1986 Donruss. 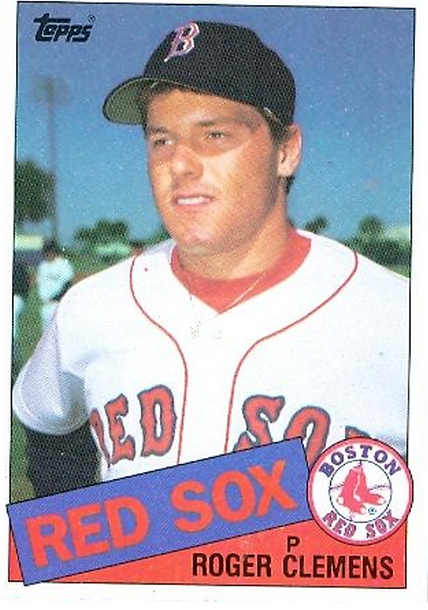 Man, this Canseco card is awesome. 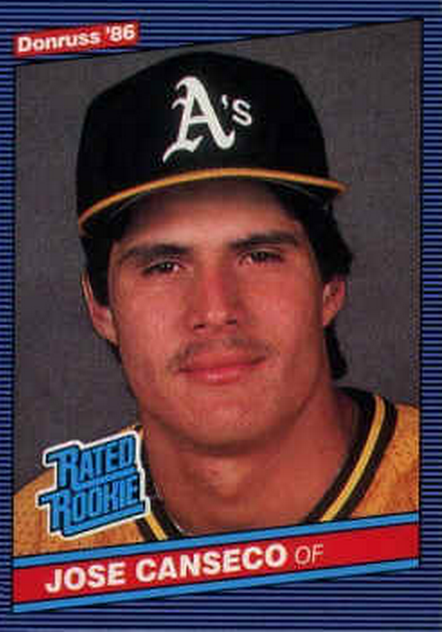 Does any card from any era capture a singular persona with one photograph as this Canseco rookie? The design is pretty ‘futuristic’ with the dizzying horizontal lines backdropping a 100% horizontal/diagonal layout. A little trippy, but it was something new. Content of the set aside (this was a powerhouse at the time), it’s a set that did not age well. 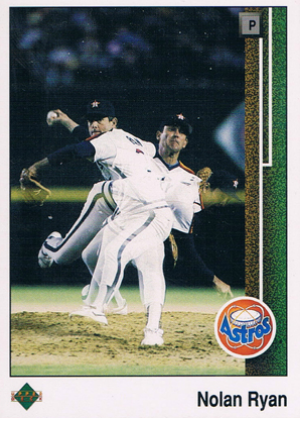 #21 – 1986 Fleer. basically ’85 Fleer but they balanced it out; the bubble is now at the bottom. A bit more optimistic than the ’85 set, but still fairly dour. Fleer’s photographers had either the best access or the best eye, because they captured the most candid of shots of any card company. This set is slightly nicer than average. 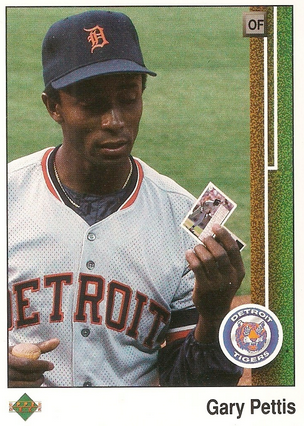 #20 – 1988 Topps. 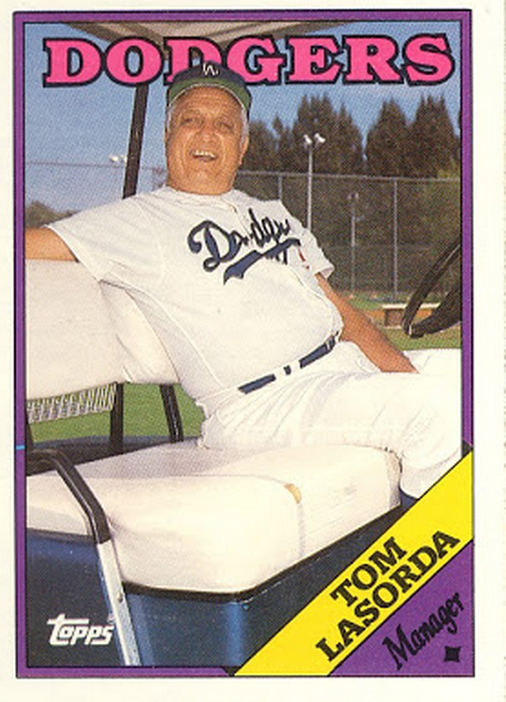 probably the most baseball card-y of all baseball cards. They nailed everything from the moment it came out of the wax pack. Colorful yet unpredictably colored team names; a horizontally diagonal stripe; the strong, thick-lined border; a scripted font for the position. Through all that, managed to set the standard for the Truly Generic. It’s not a bad-looking set, it’s just that it comes off like a Ford – it’ll get you to where you need to go but there’s nothing special about it. At all. #19 -1987 Donruss. Donruss returns to Earth with a comic-inspired border that detracts from what would otherwise be a really clean design. Again, clean team logo and sharp use of black, but the player name/color coordination effort is a bit too much, as is the stripe-lined animation. 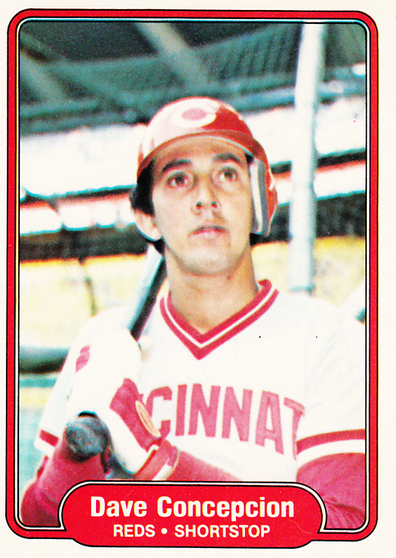 #18 – 1985 Topps. The Disneyland of card sets. Happy, colorful, fun, everybody’s having a good time look at us!!! Clean look, and one of the first mass, mass, MASS produced sets that foreshadowed what would be the ultimate downfall of the hobby. #17 – 1989 Topps. Topps salvaged generic and gave it a twist. A wavey player name line enforced a script team name, and that’s it – yet somehow the card looks professional. Came out clean and understated and a good way to head into the 90’s. 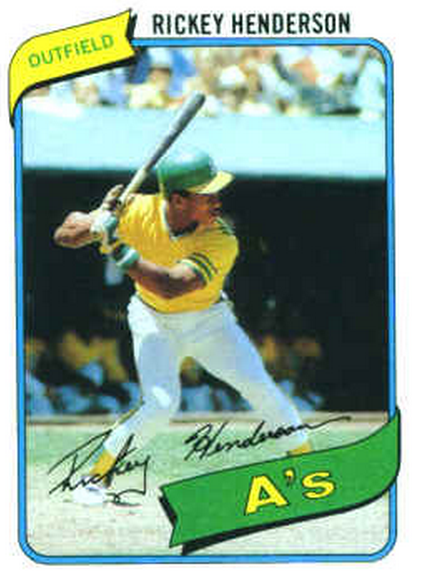 #16 – 1983 Topps. 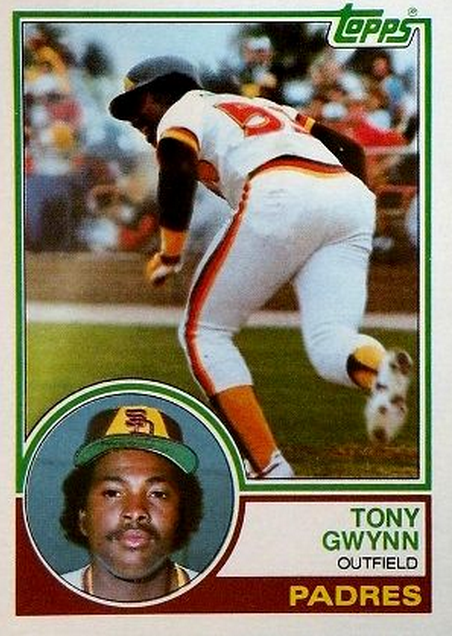 I like this set more than I should, probably because of what it meant – the constant Gwynn & Boggs rookie card debate, as who is really the better hitter. The inset picture is a really neat feature, but the overall design is a bit too line-y. Good cards, though, and fun to open. #15 – 1986 Topps. I had a ton of fun with this set, and opened about a half dozen boxes with my best friend Jared at his Mom’s house after the turn of the New Year. Seemed like a really accessible set with the huge letters on top and the dual border color, but is pretty bland in retrospect. Kudos for some humorous photos, though. 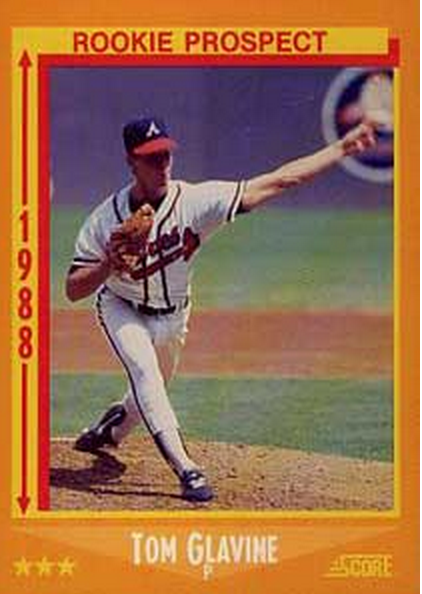 #14 – 1984 Fleer. Fleer strikes again, yet with a completely different design. Bold stripes line the top and bottom, and the color team logo and sharp pictures ensure a strong set. The fact that their Update edition set the hobby on its ear didn’t hurt. Hall of Famers in a set-only limited print run? Yes, please! #13 – 1985 Donruss. Oh Donruss, don’t hurt ’em! Black borders, so ahead of their time and sooooooo obnoxiously nicked, specked, ticked, and otherwise flawed, permanently putting the kibosh on any chances at keeping your Puckett rookie in PSA10 condition. Bold move with the team logos, but a great layout makes this an upper echelon design – except for the red ‘stairs’ on the border, which take it down to average. #12 – 1989 Fleer. again, Fleer takes a chance, this time with pinstripes. On grey, of all colors. But it works, yet again. It helped that there were some notable cards (ahem, Billy), but a well put together set that would rank higher if it had more elite players. 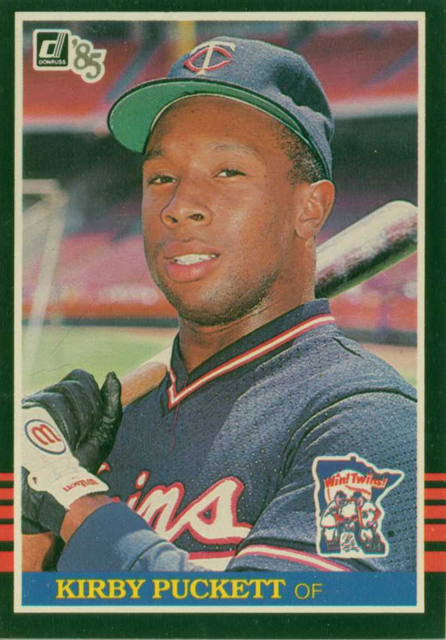 #11 – 1989 Bowman. Really cheap cardboard. I mean, this set felt like those cereal box cards my dad handed down to me from the early 60’s. I think it was Kellogg’s or Post. Either way, I despised these cards at the time but probably didn’t ‘get’ what they were trying to do. Though the formula changed dramatically, when Bowman took over the 90’s with their elite design (backed by a very limited print run), it was backed by these, which are essentially recreations of the late 40’s and 50’s Bowman shortrun. Very understated, with solely the signature and Bowman logo, and some decent if not predictable photography. Clean, thin red line leads out to the border, inversely representing the baseball field. 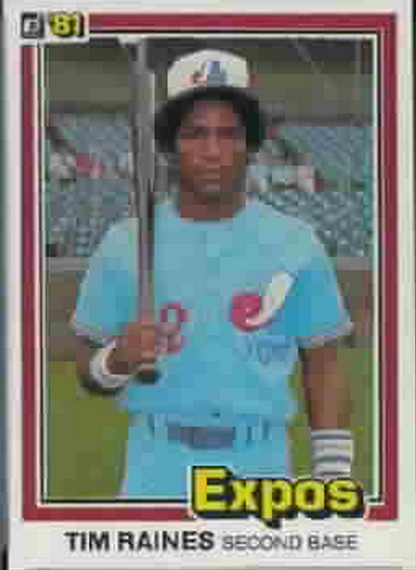 #10 – 1984 Topps. I loved this set more as I was younger, but it’s still a good look. A little dated, but definitely with the ‘retro is cool’ cachet. 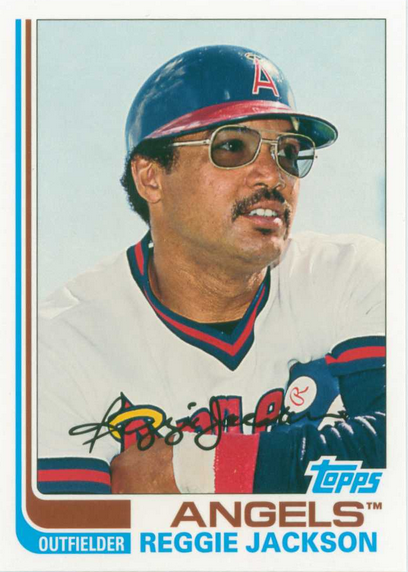 A strong focus on mustachioed players was a Topps hallmark, and the inset photo made sure to enable a pack run of 8, 9 or even 10 players in a row with ‘staches. 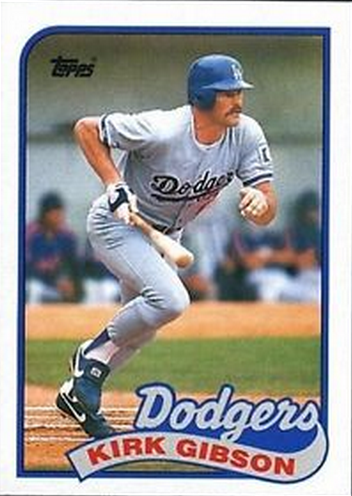 Cool stuff, and probably everybody’s first Mattingly rookie. 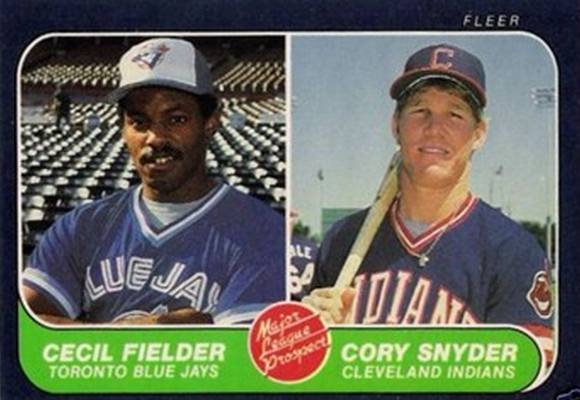 #9 – 1987 Topps. this actually is a beautiful set, only I’m desensitized because I’ve seen more 1987 Topps baseball cards than any other card set on the planet. I think I opened a box of ’87 Topps every year from 1986 (Christmas release) through 1999. Then when I ‘got back into’ pack ripping in the 2000s, I bought another five boxes. It’s so nice, just like the wood in your kitchen. And just as played out. But really, it is a good looking card if you take it for face value. 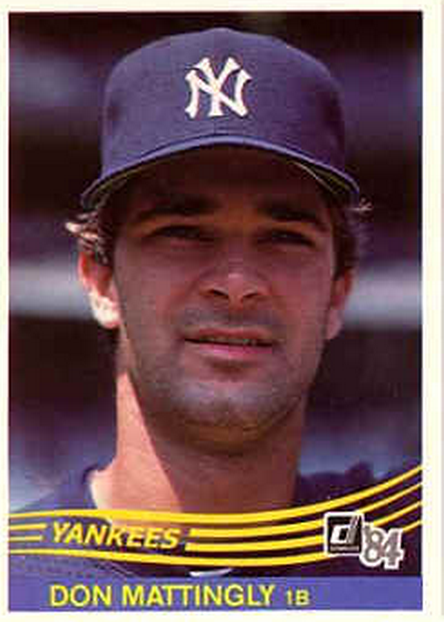 #8 – 1988 Fleer. The total antithesis of their ’85 issue, as this one screams big happy balloons. It’s the first clean white backdrop we’ve seen in the decade, and the pops of blue and red are not only election/Olympics-friendly, but they add a good touch. Some first-rate photography and collaborative photos (Puckett and Matt Nokes?) make this a pleasant, higher-rated set. 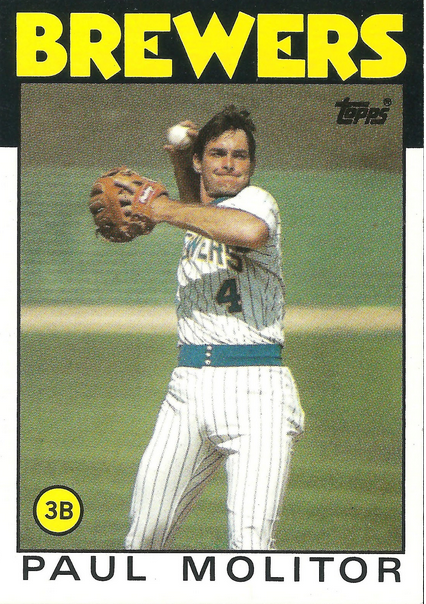 #7 – 1985 Fleer. Fleer strikes again. For me, this set captured the 1980’s better than any; it was foreboding, and the photos contained a bleakness that spoke volumes about the various controversies in the middle of the decade. The design itself is a bit top-heavy, but the unedited, sweaty pictures that are featured on several cards provided a window into the dark soul of the game. 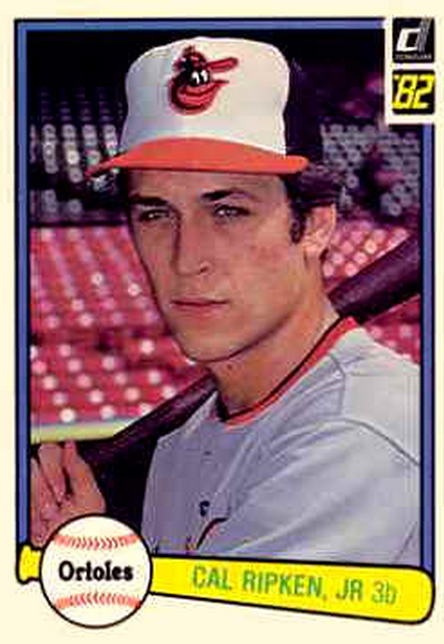 #6 – 1982 Topps. the first really cool set in the 80’s. The cards look modern (for the era), with the Tron-esque track navigating the side and bottom of the card. The fonts are strong, and the added faux-signature was both a callback to classic Topps and always a fan favorite. Again, thick stock and some nice photography. #5 – 1987 Fleer. This set shouldn’t work. The blue is obnoxious (hey, at least they run a reverse downward gradient prior to smacking your them with a final horizontal bold streak) and the card is basic. But it’s awesome. I don’t know if this is the set that captured the spirit of the go-go 80’s, or was prescient toward the pastels and bright colors of the early 90’s, but it stands out. And it’s nice. 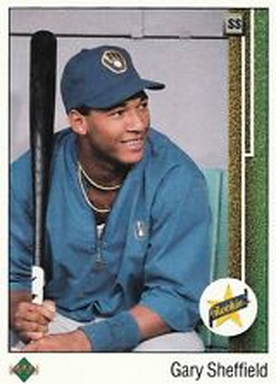 The Bonds rookie is an iconic card and somehow, someway, the blue resonates without being dated. 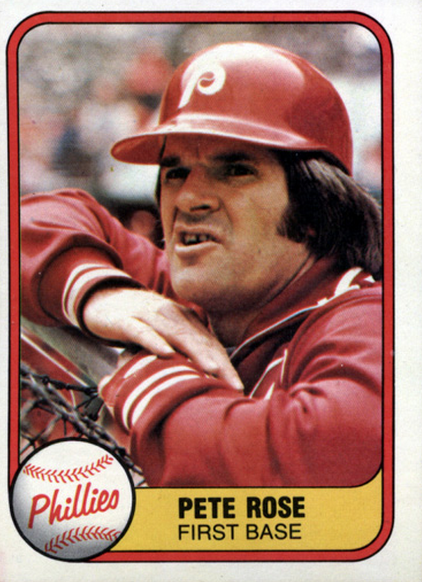 #4 – 1980 Topps. Pretty gorgeous, from the ribbon position/team design to the late 70’s cinematic color wash. 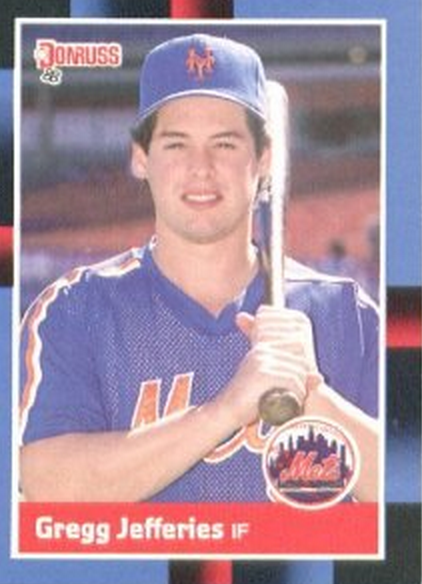 The pictures were fairly low quality at times, but they did well capturing greatness – and one of the last true awesome rookie cards. 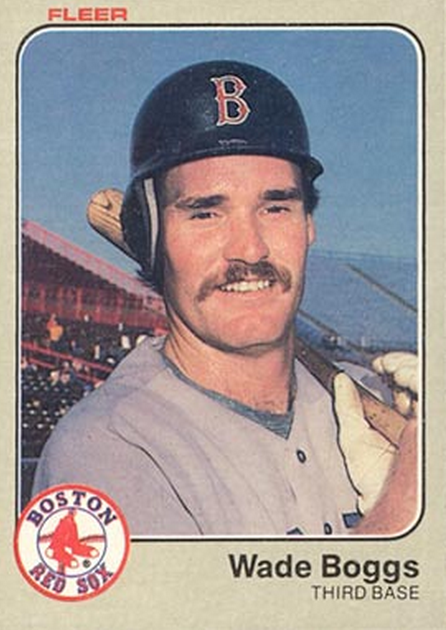 #3 – 1983 Fleer. I looooooooooove this set. I didn’t at the time, and I even overlooked it during my pack-opening renaissance in the 00’s. Yet within the last half decade, I’ve come to appreciate the first colored border (beige, how striking) of the decade, and a legitimate team logo on the card. Fleer also stepped up their photography with some higher-quality portraits, and the colorwash they utilized makes the cards timeless. Very underrated set and one of my favorites. 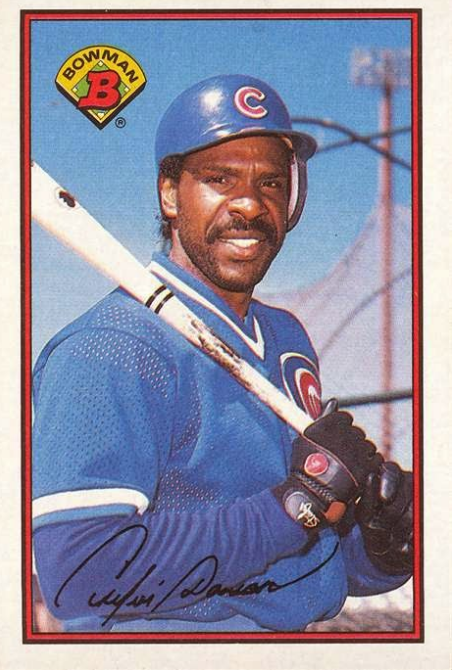 #2 – 1984 Donruss. Saved the company, revolutionized the hobby. Was it the quadruple wave on the front? Was it the borderless photos? Was it the barrage of close-up portraits? 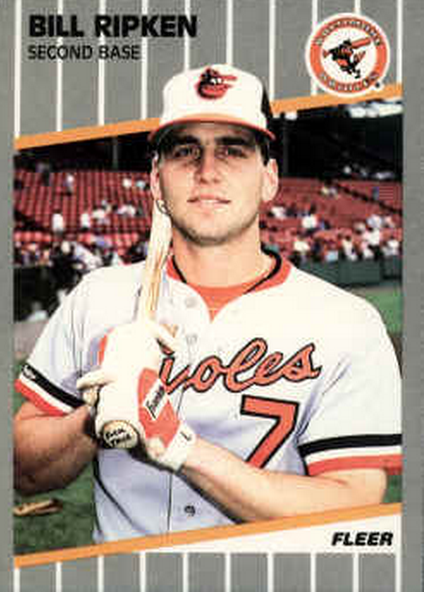 Or was it simply Donnie Baseball, the right man at the right time in the right place for this card company to capitalize on being the first limited-print (due to perceived financial constraints) run in modern collecting history? All of the above, probably. Great set, great aesthetics and opening a pack today still gives me chills. 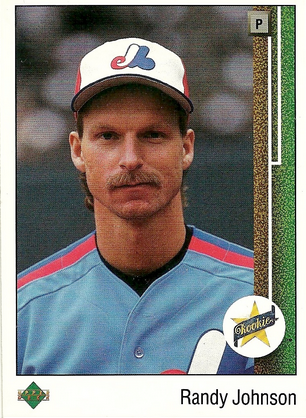 #1 – 1989 Upper Deck. You knew it was coming. So did I. 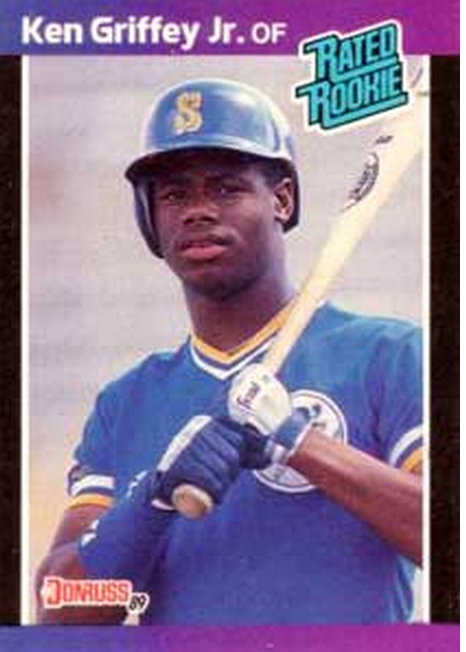 The Griffey rookie took the baton from Donnie Donruss and armed with outstanding photography (Walter Iooss), post-modernism (Gary Pettis), a legendary error card (Dale Murphy RevNeg) and a sweet crop of players, this set blew everybody out of the water. And foil wrappers. And a baseline running down the side of the card. And $1/pack charge. These were the first cards that made the hobby a real business of Now. Unfortunately, it also was the impetus for making it a real business of yesterday as well. 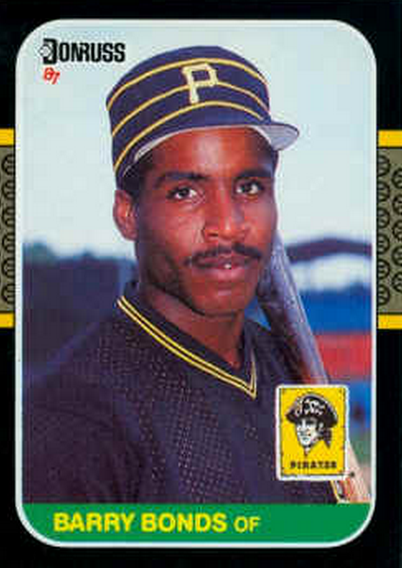 ’89 Upper Deck, you were fine, you were fun, and you made the hobby and subsequently ruined the hobby. Thanks for the memories. Great list. It’s always good to see how another collector would rank set designs. 1983 Topps would be at the top for me… followed by the 1989 Upper Deck set. Great list and fun read! Thanks for the trip down memory lane. I have to agree with you on ’83 Fleer…I still love this set. For some reason others like to bash it, I guess for the gray/beige borders, but it’s so clean and simple. 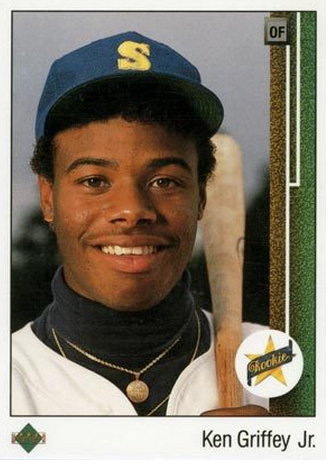 But ’86 Topps at #15???? This has got to be not only the UGLIEST looking set of the ’80’s, but possibly of all time! This was actually the first complete set I bought (at 11 yrs old) when it came out, along with the ’86 Fleer. Thank you as it is always interesting to see other collector’s rankings.